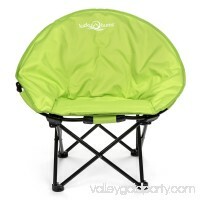 Your little one can rest comfortably and easily wherever your adventures take you with the help of the Lucky Bums Youth Moon Camp Chair, Medium. 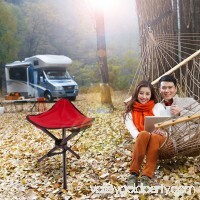 This sturdy, po..
Flat aluminum frame makes Lightweight designs to easy transport Folds into a compact size for simple storage Retractable side table and Accessory pockets are at..
Made of Waterproof Nylon Fabric and Coated Steel Pipe OUTAD Folding Hiking Backpacking Tri pod Stool For Outdoor Camping Fishing Features: Weighs only 0.6 po..
Canvas back with steel frame Bungee cord cushioning Hinged Back for lower back support and comfort Bottom hook to secure to bleachers Fabric back not on c..
Ming's Mark is an international trading company that also includes Green LongLife and Stylish Camping products. 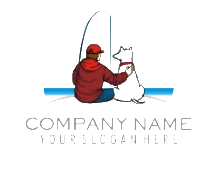 Ming's Mark and its subsidiaries are constantly .. 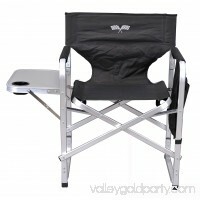 The Logo Brands NFL Team Hardback Seat ensures that you have the best seat at any event. 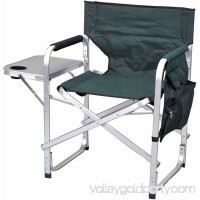 This portable seat features a steel-tube frame with folding clips that .. 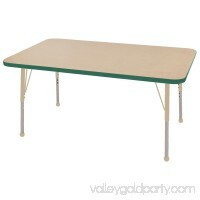 Ideal for use in classrooms, playrooms, churches, recreational centers, and at home, ECR4Kids Everyday Adjustable Activity Tables provide a durable, versatile s.. The Cosco six-foot indoor outdoor center-fold tailgate bench with carrying handle is the best seating option for many occasions, providing ample seating for gue.. 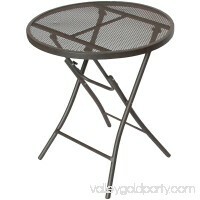 Bistro table, with an easy-to-clean steel mesh top, is the perfect size to place between two chairs. 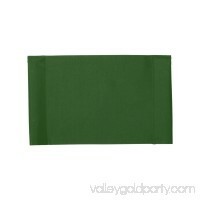 Table folds in seconds to 2.5 inches for easy storage. Bist.. 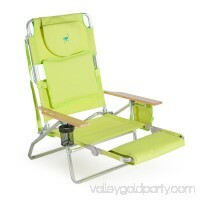 Relax in comfort while tailgating, camping or when chilling in a backyard with this Ming's Mark Folding Director's Chair. 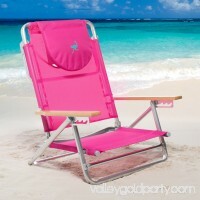 The frame is constructed of durable me..
With its convenient carry strap and fold-flat design, the Ostrich South Beach 5-Position Sand Chair is ready for any impromptu beach trip. 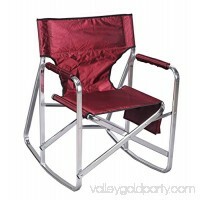 Once you get there, t..
Rustproof aluminum frame5 recline positions for total comfortIncludes a handy cup holderWeight capacity: 275 lbs.Dimensions: 60.76L x 28.10W x 39.73H inchesdet.. Enhance al fresco dining with the Picnic Plus Scrimmage Tailgate Table. 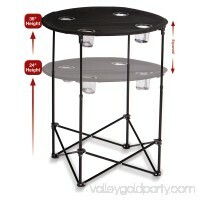 With its convenient foldup and portable design, this table extends from 24 inches to 36 .. 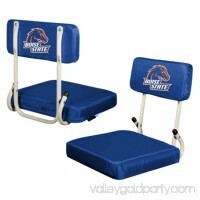 Sit in style to cheer for your favorite team. The Alabama Hard Back Stadium Seat is made of 420 denier polyester and measures 13.5"x12" by 14.5". The frame is m.. Features: -Semi-gloss finish. Country of Manufacture: -United States. 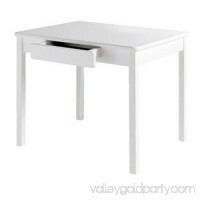 Table Top Color: -White. Table Base Finish: -White. Table Top Material: -Solid Wood. Table..